Hello, and welcome to the final post in our blog series on common issues that affect Mercedes Benz. When writing these posts, we realized that it may sound like Mercedes experience a lot of issues. However, we want to stress that Mercedes experience mechanical issues at a rate that is similar to many other vehicles. Mercedes are engineered to be as durable and long-lasting as possible but, like any other machine, they need your help to stay healthy. As a Mercedes owner, you have a responsibility to maintain your vehicle to ensure that all of its parts are performing as they should be. If it has been a while since you have scheduled a maintenance check, we recommend that you schedule one as soon as possible. By doing this you can help prevent some of these issues before they affect your vehicle. 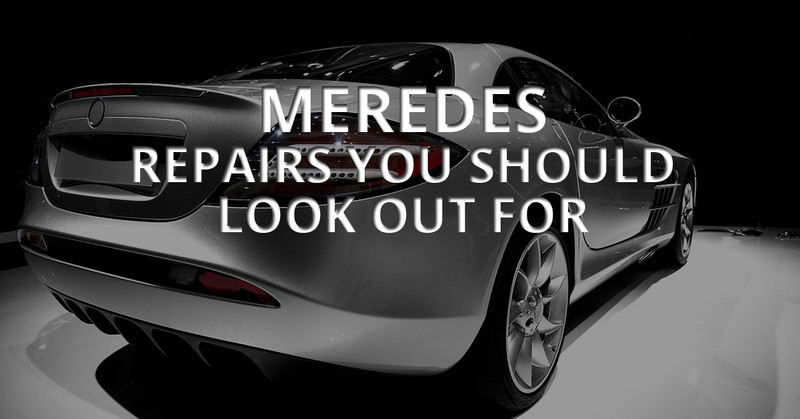 Having Mercedes repair work done is, for the most part, a way to prevent small faults from turning into major damage. Each part of your Mercedes works together and if one part starts to go awry, it is almost a guarantee that other aspects of your vehicle will be affected. Below, we have listed out a few more common issues that you should be on the lookout for. Fluid Leak: If the phrase “fluid leak” sounds alarming to you, it should. While this is an issue that typically affects older Mercedes, it can happen to nearly any vehicle. Typically, Mercedes owners will notice a bit of red fluid that is left behind when they park their car. The source of this fluid can be a number of things but, most commonly, it is caused by a faulty electrical transmission plug attached to the side of the transmission itself. Over time, the seals in the plug will begin to deteriorate which will cause fluid to escape from your Mercedes’ transmission. If you have noticed any sort of fluid leaking from your Mercedes, it is important that you get it looked at. While the leak usually starts off slow, over time the effects of lowered transmission fluid can cause major damage. Rough Running Engine: If your Mercedes is running a little roughly and your check engine light is on, this could be caused by misfires in your engine. Misfires occur when your engine’s timing isn’t in synch and is commonly caused by a faulty mass airflow meter. If your Mercedes is running roughly, you will need to bring it into our shop so that our mechanics can determine the source of the issue. While most engines can handle a fault in the mass air flow meter, you will notice an increase in fuel consumption which is an issue that no one wants to deal with for longer than they have to. We hope that this blog series has been informative and that you feel more confident in being able to determine whether or not your Mercedes needs to be brought in for repair. Again, we hope that you will choose Kudos Import and Performance for all of your import auto repair and maintenance needs. We want all imports in the Chesterfield area to run as smoothly as possible and we have made it our mission to provide the best mechanical services that we can. Contact us today to set up an appointment.